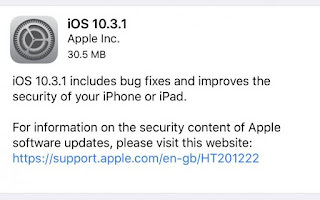 Apple has yet released the first patch update in the form of the 10.3.1, after a week ago Apple released iOS 10.3 for the iPod Touch, iPad and iPhone. This patch update has fixed a security related issue to the Wi-FI, where an attacker within range may be able to execute arbitrary code on the Wi-Fi chip. Another fix in this update is with regards to the older 32-bit devices that are still compatible with iOS 10, namely the iPhone 5, iPhone 5c and the iPad 4th generation. These were unable to download the 10.3 update over the air when it released last week and you would have to use iTunes. With 10.3.1 these devices can now download the update over the air again. iOS 10.3.1 patch update. 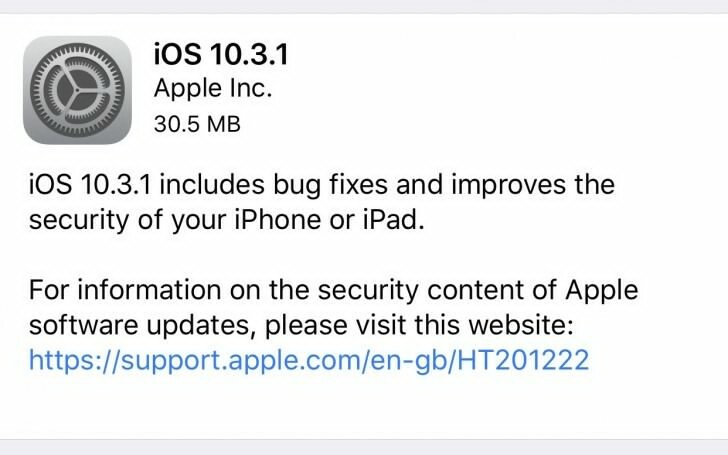 Apple releases iOS 10.3.1 Patch update that fixes security Wifi issue. Anyway, Kachi. I need your help. Is the Etisalat cheat of weekly subscription(forgotten what it's called), still working? If yes, please drop the steps and setting. I need am. I don't too suffer for glo hand. Seen. Thanks. Really, I regret using it. Useless. I will have to go back to subscribing. This should be my first comment on your blog!